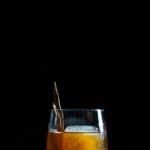 Today I’m excited to feature a #Tippletrade with Georgi of @JustShakeorStir. It’s a chance where we both remake a cocktail of one another and post on the same day. There’s a few reasons why I chose to make Georgi’s Minion Banana, and I can’t wait to tell you why! It’s no question of a doubt that Georgi is talented. I haven’t been able to figure out if he has bartended outside of the gram, but I wouldn’t be surprised due to the recipes he drops. Choosing a cocktail was INSANELY difficult because I connected with a lot of them, but the Minion Banana kept poking at me. 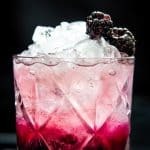 There’s a few reasons why I wanted to re-create this cocktail. I’m a child at heart. And being a child at heart, I still go out and watch animated movies. No, I do not have a little niece that I’m taking to the theatre, instead I drag whatever girlfriend, brother or my other half with me. Despicable Me and that franchise is on my top favourite new animated films, and obviously if you love the films, you love the minions! How they created their language has always intrigued me, especially when I will get hints of Portuguese floating around. 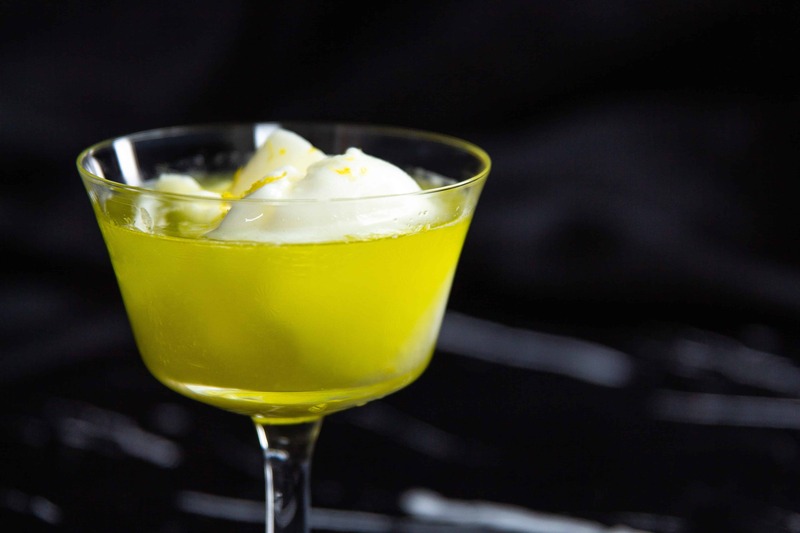 It is SO rare to see Lemon Sorbet in a cocktail. 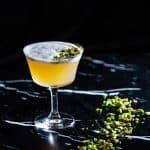 I’ve done it before, and you can find these DELICIOUS boozy dessert recipes all over the Liquid Culture website. 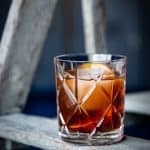 This got me excited to see that others go out of the typical context of what is found in a cocktail, and which leads me to point #3. This was an excuse for me to hit up Cheese Boutique and grab a Lemon Sorbetto. The Gelatos, Sorbettos and Ice Creams are THE BEST IN THE CITY HANDS DOWN. If you’re from Toronto and haven’t gotten a chance to try their stuff, you will have to stop reading this post NOW and head over. I’m that serious. Okay well maybe finish reading this post before you head out, haha…. This cocktail I was able to add a Toronto flair with the best Sorbetto in the city, which made me feel even more connected with the cocktail! Of course, there is a my love bananas which I really don’t drop too often on Liquid Culture, so here was a chance for me to recreate something delicious. Plus it was an excuse to finally pick up Giffard’s Banana du Bresil Liqueur which is pretty much the only Liqueur I would use (well there are a few others, but they’re a bit tougher to find in Ontario!). So I will state this, I have provided you with the exact recipe that Georgi created. This is NOT my own recipe, and he deserves all the credit for this one! If you don’t follow him and his OUTSTANDING talent for photography and cocktails, then you definitely should head over to his page. I did my best to try and match his skill set with this photo here, which is a fairly steep challenge, but I hope this made you proud and I can’t wait to see what else you have in store! 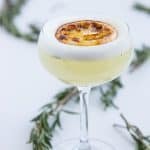 A recipe created by Georgi of @JustShakeorStir that combines Gin, Cointreau, Banana liqueur and a delicious lemon sorbetto. Stir all but the lemon sorbetto and cointreau with plenty of ice until chilled. 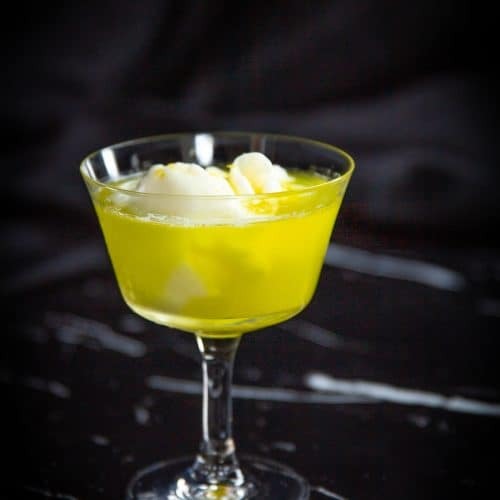 Double strain over lemon sorbetto in your favourite coupe glass. Flame the cointreau in a small saucer and pour over sorbet when serving! Cheers!